In a press briefing on July 10, National Transportation Safety Board Chairman, Deborah Hersman said that the NTSB is looking at how “multiple modes” of automation at work during the crash of Asiana 214 worked together at the time of impact. Hersman described those modes as auto pilot, auto throttle and auto thrust. 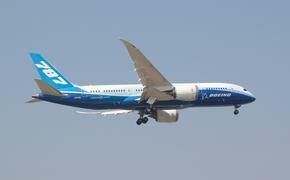 Hersman said that the pilots involved had been interviewed by performance experts including the pilot who was in training on the Boeing 777 and the instructor pilot, whom Hersman said was in control or “monitoring” the flight when it crashed. Both the instructor pilot and the training pilot said that they had eight hours of sleep the night before the flight. After interviews with the crew it became clear that when the plane came to a stop, an announcement was made for passengers to stay seated and not evacuate. When one of the flight attendants saw fire outside the plane, he communicated the information to the pilots and other crew and evacuation began immediately. Two of the slides opened inside the plane, pinning and injuring flight attendants, who had to be helped from under them by passengers and other flight attendants. The NTSB is currently working with the manufacturer of the slides to investigate the cause. Three flight attendants were ejected from the plane on impact and are still in the hospital. It was earlier revealed that two passengers who perished, teenaged girls from China, were also ejected from the aircraft at some point. Hersman explained that the NTSB was investigating auto command records to understand how these modes worked with each other and were monitored by pilots.The NTSB will also be looking into the issue of authority deference to make sure that crew or pilots were not silent on mistakes on colleagues’ commands during the landing procedure. Finally, Hersman said that the agency would “clear” the debris-ridden runway tonight which means give an OK to begin collecting and moving material away from the site but that it would probably be some time before the runway would be OK’d by SFO for flights to land there.